Dr. Ramon Gustilo is a renowned orthopedic surgeon, philanthropist, and academic. 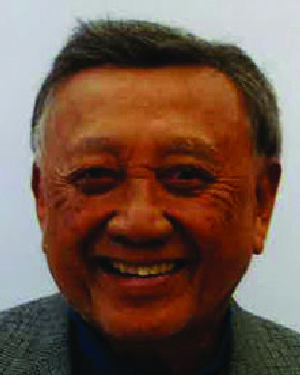 After finishing medical school at the University of the Philippines, he completed an orthopedic residency program at the University of Minnesota’s Medical School in 1964. Dr. Gustilo is known as the “father of orthopedics” in the Philippines, and for good reason. He has catalyzed several important innovations in orthopedics and holds a number of patents. He provides low-cost orthopedic implants of his own design throughout Southeast Asia with Orthopedic Innovations, a company he founded. Dr. Gustilo has put time and effort into giving back to the Philippines and in particular Manpala, the town in which he grew up. There he has established and funded numerous public buildings and runs a number of companies that employ scores of local workers. Dr. Gustilo has played a key role in building and strengthening connections among the orthopedic global community. He developed a classification system for open fractures and traumatic injuries that allows trauma surgeons around the world to compare results on similar injuries. He has released numerous peer review publications that have made a lasting impact in the field of orthopedic surgery. He has catalyzed international relationships, such as building a sister-hospital connection between Nigaata University in Japan and Hennepin County Medical Center in Minneapolis. He has mentored more than 120 students and colleagues worldwide, who in turn have returned to their respective countries and made integral contributions in orthopedics. Dr. Gustilo continues to remain connected to Minnesota through mentoring early- to mid-career orthopedic surgeons affiliated with the University of Minnesota’s orthopedic surgery residency program, and serving on the advisory board for Excelen Orthopedic Research Laboratory, based at Hennepin County Medical Center. In naming Dr. Gustilo as a recipient of the Distinguished Leadership Award for Internationals, the selection committee cited his vast contributions to the orthopedic global community and his dedication to mentorship and leadership through education, training, and research.